How do you steal a dream? America’s civil rights movement still needs you. 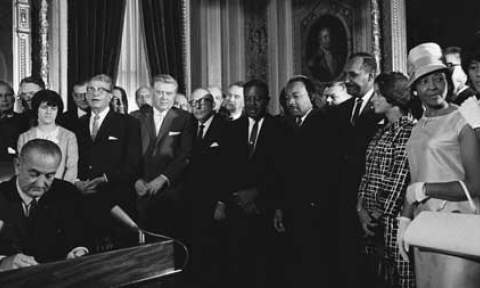 LBJ Signs the Voting Rights Act into law. This month –as early as tomorrow— the US Supreme Court will tell us whether Black and Brown citizens have the right to vote. Give me 14 minutes—watch this film–and I’ll give you something you can do to stop the return of Jim Crow. And don’t be an idiot: pass this on. This is a Civil Rights Movement… so let’s get moving.